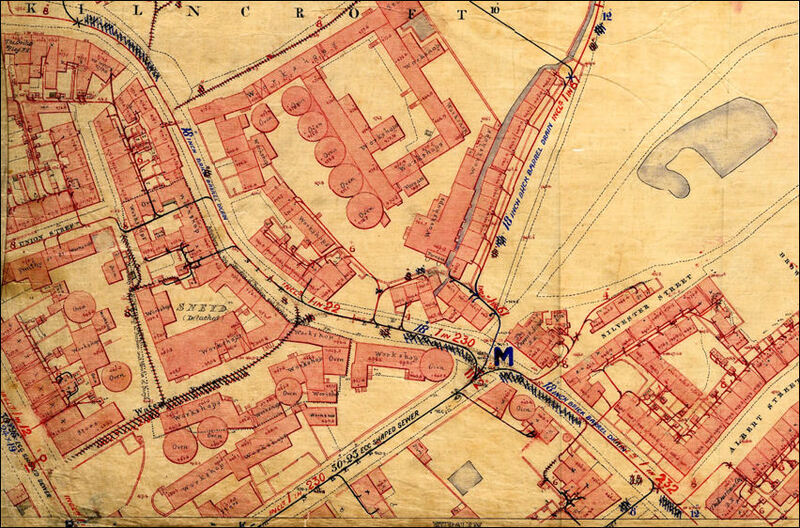 Jewitt records that the Nile Street works had been built on the site of a previous early pottery and that "Messrs. Riley, who removed from here (Nile Street) to the Hill Works, were succeeded by James Cormie, uncle of Thomas Pinder". 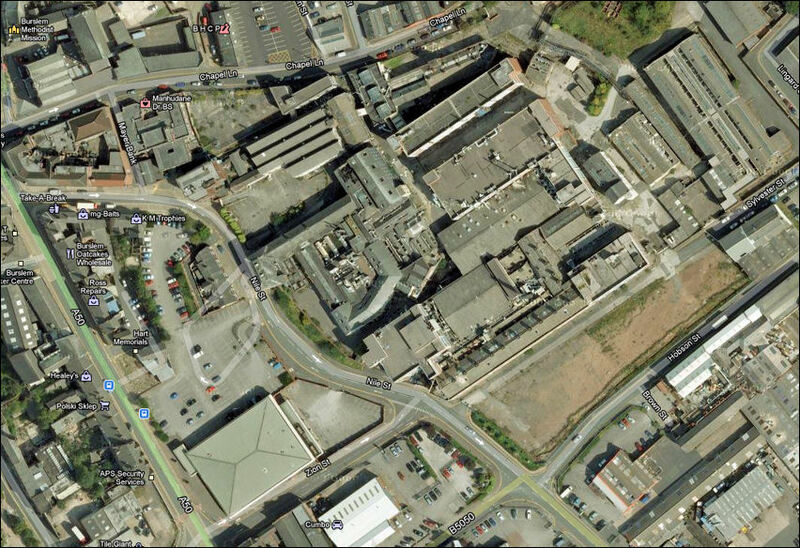 1828 - Queen Street, (Bell Works) - in 1834 he went bankrupt at this works. 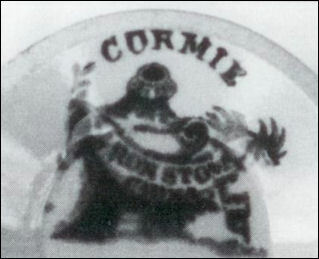 John Cormie held houses at Hole Croft (near the Nile Street works) - he auctioned these in 1836. He died in January 1854 aged 1854. 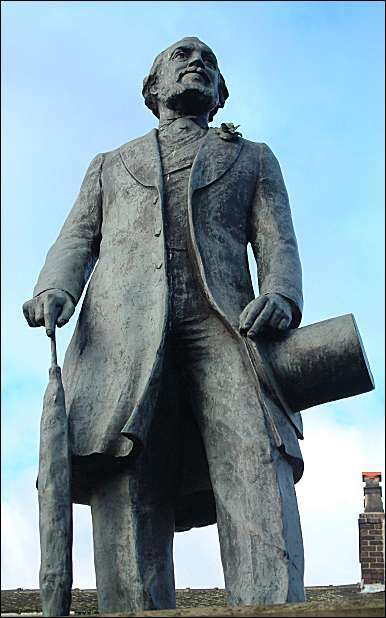 Thomas Pinder operated from the Swan Bank Works from 1848 and the Fountain Place Works from c.1852 - in 1851 he was joined by two partners and they operated as Pinder, Bourne and Hope (Thomas Pinder, Joseph Harvey Bourne, John Hope). 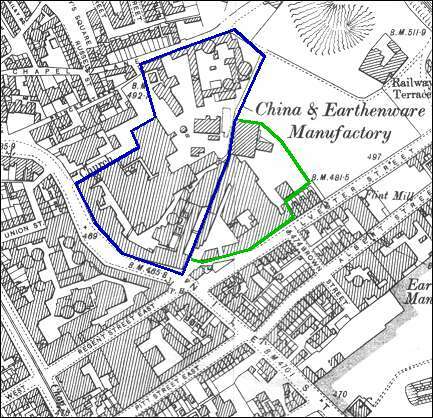 In 1860 they moved to the already existing Nile Street Works - manufacturing Earthenware. In 1862 Mr. Hope left the partnership and stayed at the Fountain Place Works - the Nile street works continued as Pinder, Bourne & Co. 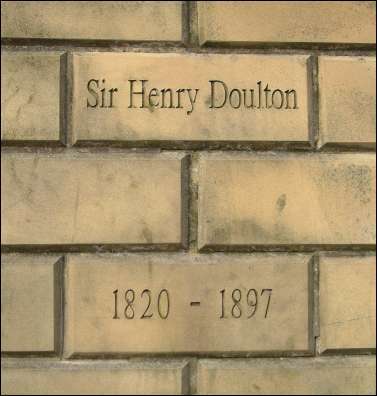 In 1877 the business and works of Pinder, Bourne & Co were purchased by Henry Doulton of the Lambeth (London) pottery company Doulton & Co.
Also in 1877 Henry Doulton was knighted, a few years later he was awarded the Albert Medal by the Royal Society of Arts. 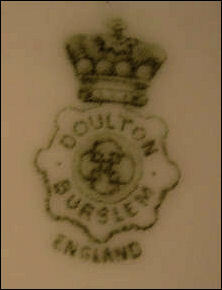 The name of Pinder, Bourne & Co. continued to be used until 1882 when it became Doulton & Co. Ltd. 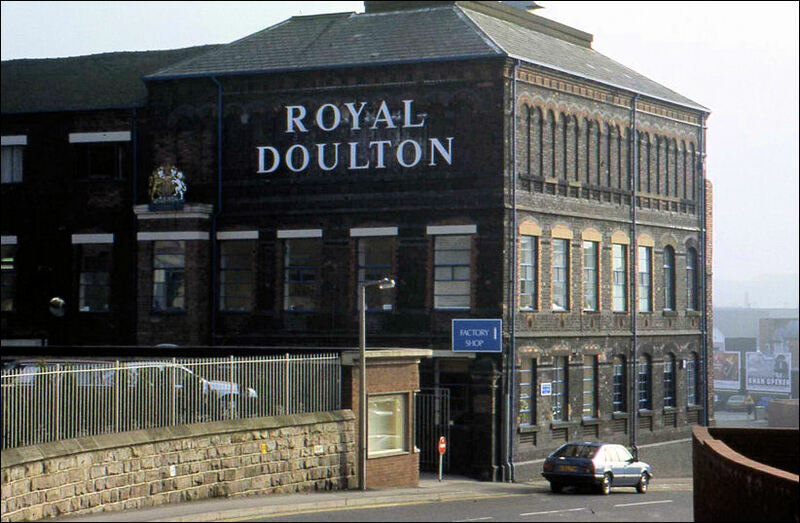 In 1884 Doulton's added a new wing for the manufacture of bone china. 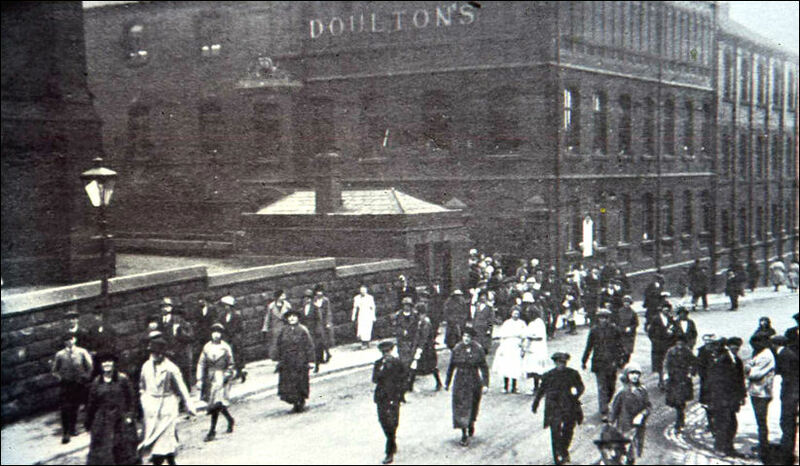 1901, the Burslem based Doulton works was granted the Royal Warrant by the new King, Edward VII. 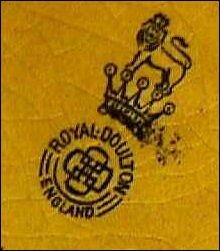 It was this that enabled the business to adopt new back-stamp and a name that would last: Royal Doulton. 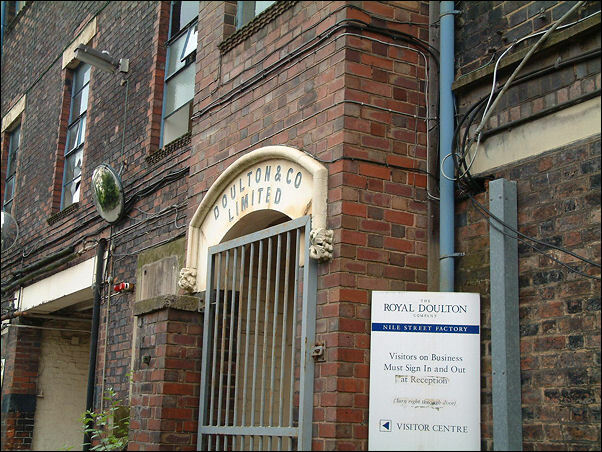 The old established pottery company Minton effectively merged with Royal Doulton in 1968. 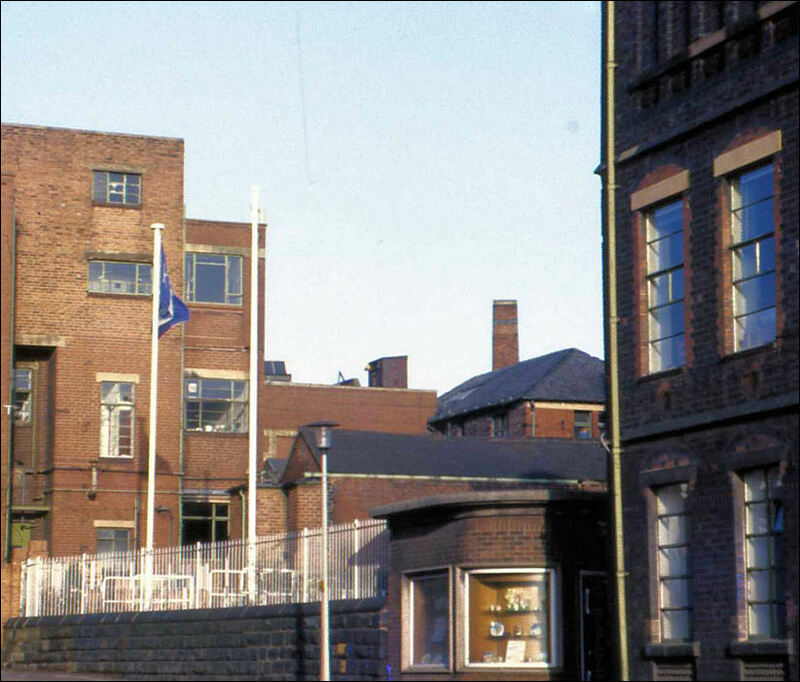 Royal Albert, as a part of Allied English Potteries, joined when Royal Doulton merged with AEP in 1971. 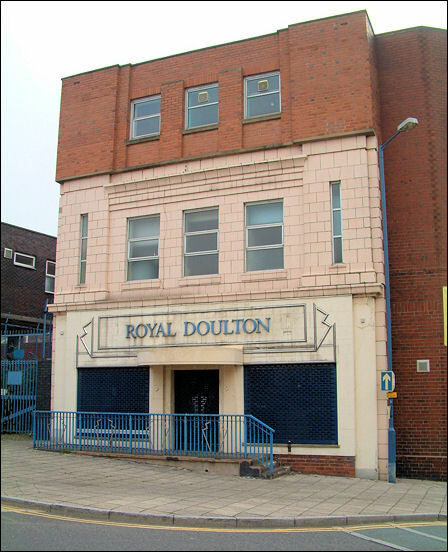 Since then, the business combined the current three main brands under a shared identity: Royal Doulton, Royal Albert, and Minton. 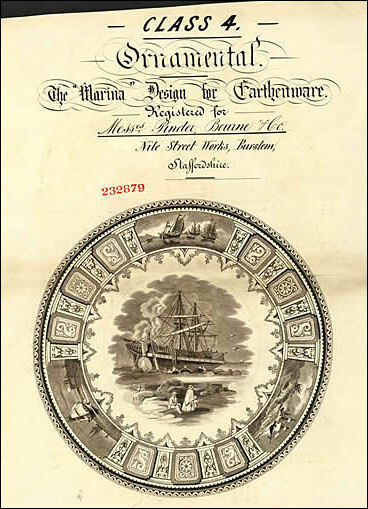 Fine bone china, fine china and Lambethware became the hallmarks of quality from Royal Doulton, alongside a host of tableware and other products from the core brands, such as Old Country Roses by Royal Albert, and Haddon Hall by Minton. 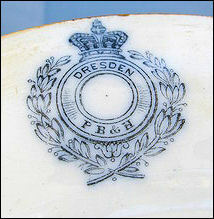 Wedgwood acquired Royal Doulton on January 14, 2005. 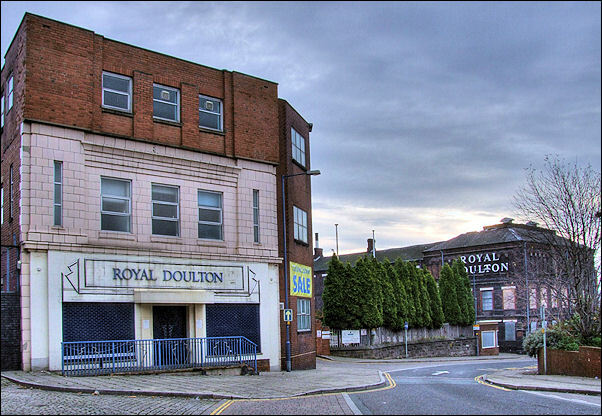 Royal Doulton left it's factory in Burslem having established a state-of-the-art production facility in Indonesia - some of the finer pieces still being made at Barlaston in Stoke-on-Trent. 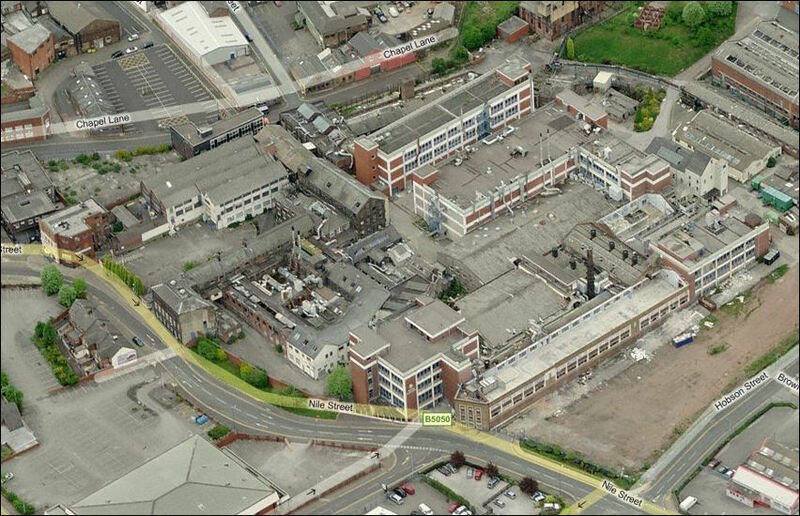 Demolition of the Nile Street works started in October 2008. 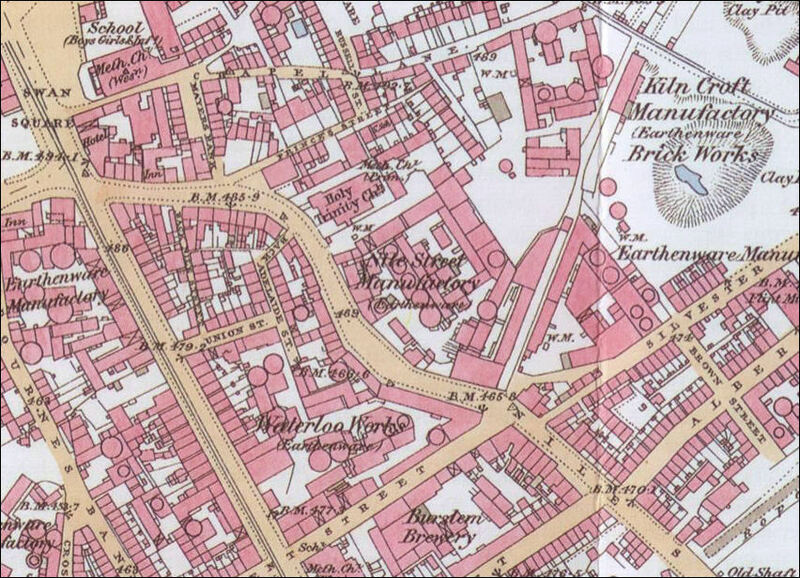 1898 map - the works marked in blue are those of Doulton & Co.
13 Berrisford, Mrs. Fanny. grocer & provision dealer. 31 Cooper, John, sanitary presser. 57 Moss, Mrs. Elizabeth, fish and tripe dealer. Sneyd Collieries, Ltd., colliery proprietors. 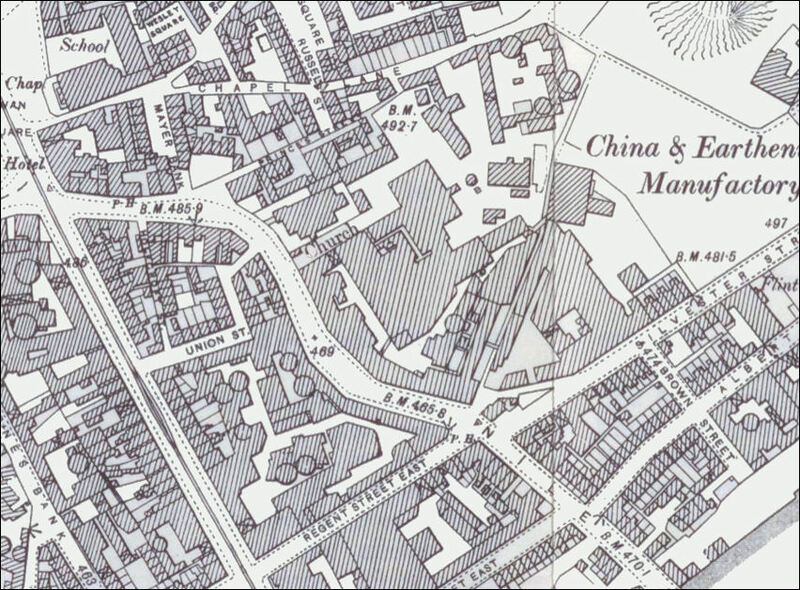 Built in Nile Street in 1851 (it is not on the 1851 map above but is shown on the 1877 map). 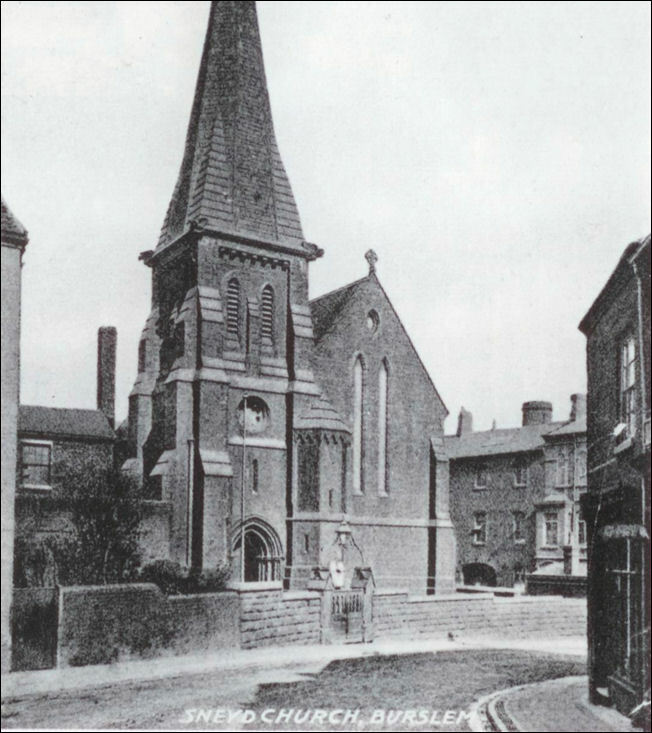 Designed in the Gothic style by G.T Robinson of Wolverhampton, who also designed Burslem's second town hall which was opened in 1854 in the Market Place. On the right of the church is the pottery works of Pinder, Bourne & Hope - the bottle kilns can just be seen over the roof line. 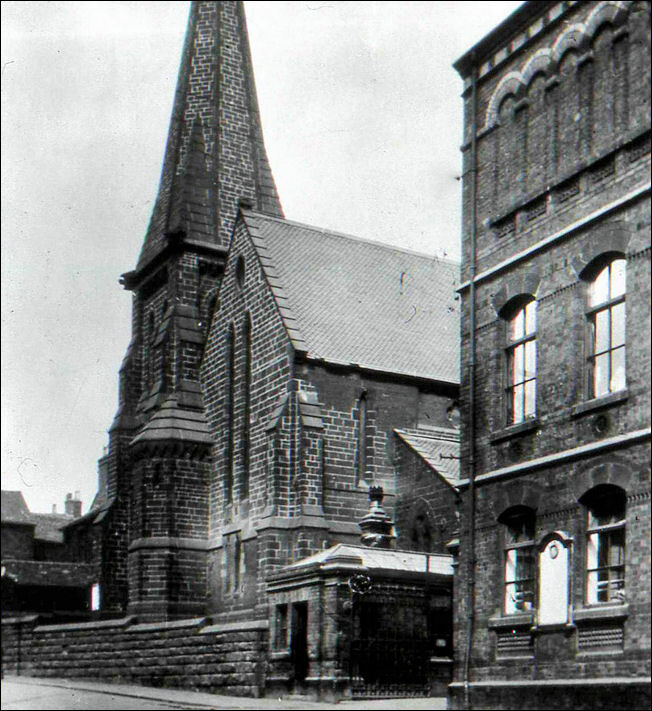 The church suffered damage from subsidence and was demolished in 1959 - the site became a car park used by Doultons Visitors and Factory Shop. and he wears a flower in his button hole. That these works were built upon the site of an early pottery is evidenced by fragments of pitchers, 'porringers', and other salt-glazed domestic vessels of 'red and yellow clay marbled together', being exhumed at one time or other during the alterations. Messrs. Riley, who removed from here to the Hill Works, were succeeded by James Cormie, uncle of Thomas Pinder, who traded under the style of Pinder, Bourne & Co. China was at one time made here, but then only printed, enamelled, and gilt earthenware, fine red-ware, jet-ware, and sanitary goods. The red-ware or terra-cotta of Pinder, Bourne & Co. was of fine, hard and durable quality; and the vases, spillcases, and other articles richly enamelled and gilt in arabesque and other patterns were remarkably good. Among other specialities were flower-vases and jardinieres skilfully painted in birds, flowers, etc. The firm patented improvements in ovens and in steam printing-presses; but the latter, having excited the hostility of the workmen at the time of the riots in 1842, were abandoned. The firm received medals at the London and Paris Exhibitions of 1851, 1855 and 1867. The marks were a garter with the name of the pattern and initials P.B. & Co. surmounted by a crown and encompassed with a wreath of laurel, and the triangle-shaped mark. 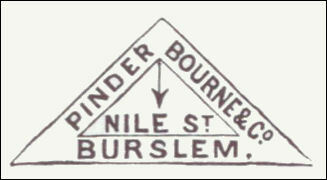 Messrs. Pinder, Bourne & Co. were of the period 1862-82. 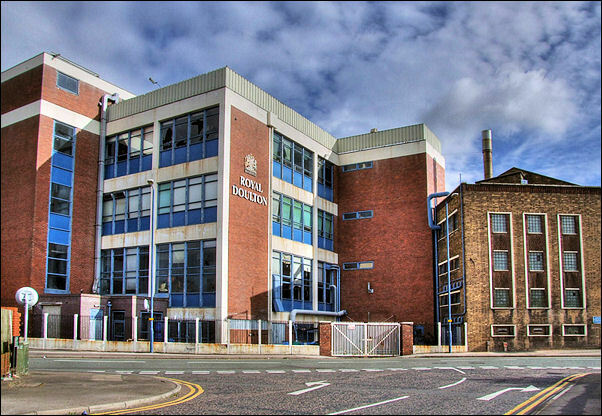 After the works passed into the hands of Messrs. Doulton, in 1882, immense strides in improvements in every department were made, and the productions rank with the very best. This is especially noticeable in the body of the finest earthenware, which arrived at a state of perfection. As a rule, earthenware is, by the generality of people, looked upon as inferior in every way to china and as unworthy of the high artistic treatment lavished upon that favoured body. This, however, is a mistake, and Messrs. Doulton wisely directed their energies not only to its improvement but its Perfection. In this they were successful, and the result is that their earthenware has all the fineness and beauty, the artistic treatment, and the exquisite finish of the best classes of porcelain with, in addition, a softness of surface and a delicious creaminess of tone. Messrs. Doulton employed a large number of first-class artists in the decoration of the ware, and new studios were fitted up to meet the requirements of the increased demand that sprung up for high-class art-productions. 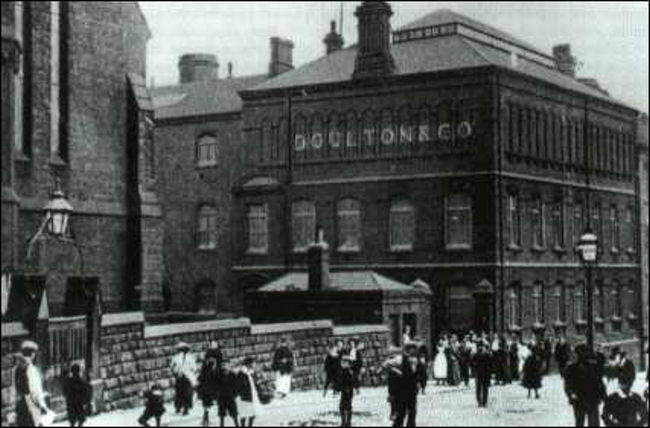 In 1884, Doulton's Burslem factory commenced the manufacture of fine porcelain, a product for which they are now internationally famous. 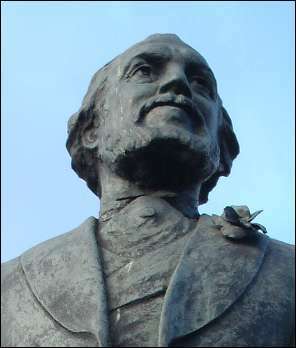 The artists include P. Curnock, D. Dewsbury, F. Hancock, H. Mitchell, E. Raby and G. White. Messrs. Doulton's continue to the present day, and their Burslem products (including many figures and groups) have won world-wide fame.